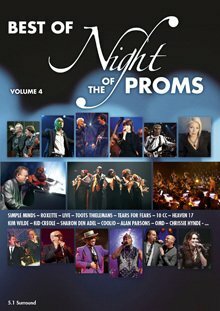 The DVD is already available though the official NOTP eBay shop and will be released to other shops and the upcoming NOTP concerts in Belgium, the Netherlands and Germany in the next weeks. Thanks Project_Z at R2R forums for the info! Update, October 11: The DVD will be released in Germany on October 22, 2010. For example via amazon.de. Great that Sharon den Adel made it to the DVD! Makes it more worth buying. If I am not wrong.. Marie’s voice was not at her best in Antwerp… at least that is what I remember from the show. Yes, she had a cold in the first week. But as I remember this has been recorded 1 or 2 weeks later. Update: The DVD will be released in Germany on October 22.